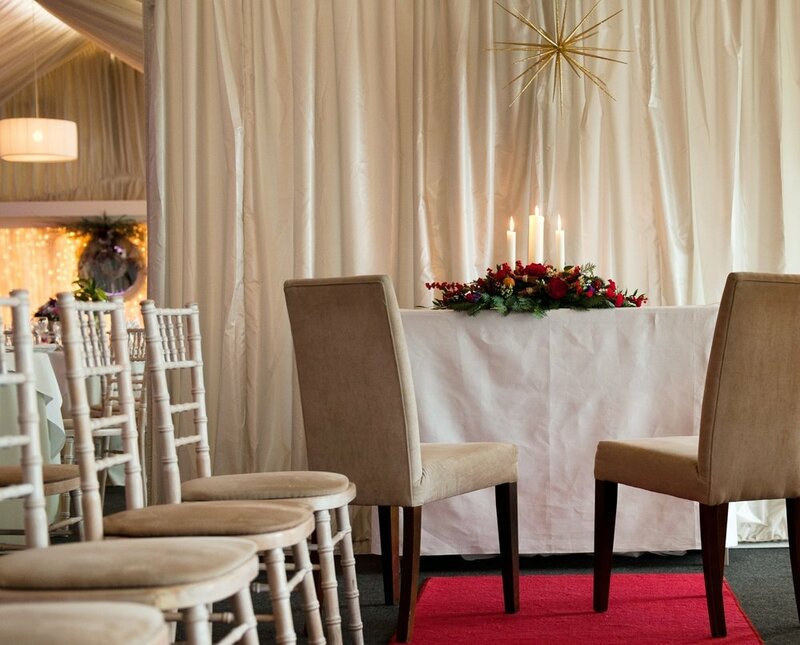 Coolbawn Quay is the perfect place to profess eternal love whether through a marriage ceremony or a simple blessing. 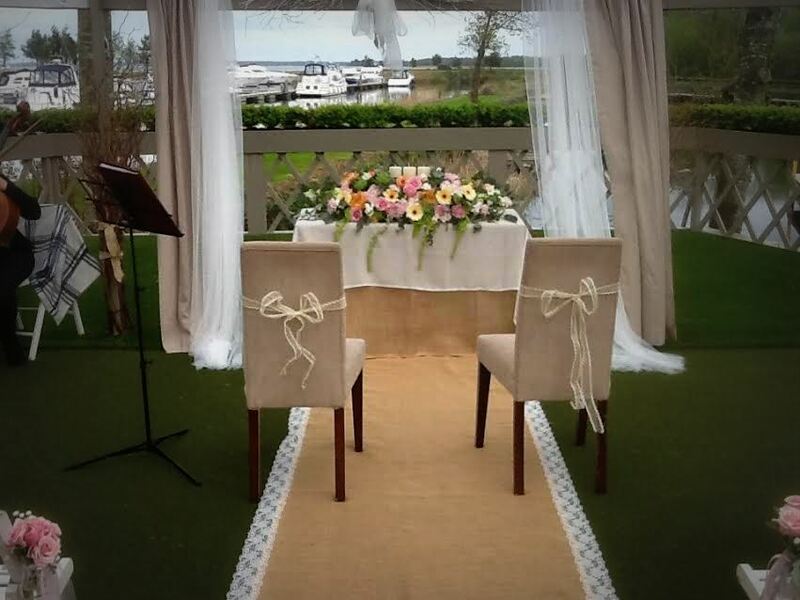 Waterside Vows are exchanged under the lakeshore Crystal Canopy or on the Inner Harbour Deck. If the weather is too inclement, the Drawing Room of the Pavilion is just perfect. You are free to tastefully enhance and personalise the setting with the addition of flowers and bows. Flower petals may be used as confetti but traditional paper confetti is a 'no no' as Coolbawn Quay is an area of special conservation. Located on the lake shore overlooking the inner harbour, this transparent covering offers a clear view of the lake and the surroundings countryside while providing cover and protection from the elements throughout the year. The canopy is surrounded by copper beach hedging which, with the passage of time, will completely encapsulate the interior forming a Secret Garden. The Bridal couple have the option to exchange vows under a softly draped gazebo right at the water's edge or under the canopy. Rain never stands in the way of vows ‘al fresco’ at CBQ. When the weather is guaranteed and the skies are blue, ceremonies and blessings are hosted on the deck perched over the water with only the sounds of nature in the background. A series of softly draped Gazebos and parasols provide shelter for Romantic Couple and their guests. The deck, inner harbour and surrounding pathways are exclusive on the day and form the perfect backdrop for photographic memories. As part of the package, the inner harbour is free of all moorings. Seating is available for up to 150 guests. Over the winter months, when the weather is too inclement, ceremonies and blessings are conducted in the Drawing Room of the Pavilion. This is a beautifully appointed room with floor to ceiling Georgian style windows, silver tented linings and on open fire effect with surrounding mantle. The festive season brings the added magic and the scent of a Christmas Tree twinkling in the twilight. Seating is available for 80 guests.